Jonathan Cole, shareholder in the Nashville office, concentrates his practice in the area of business litigation. He focuses his practice on civil trial work, representing clients on all levels of state and federal court and administrative procedures. 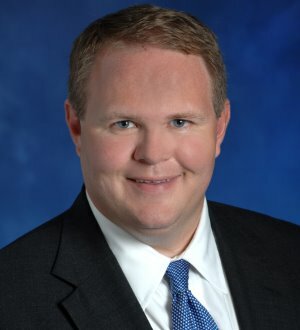 Mr. Cole has significant experience representing national financial institutions and businesses in a wide variety of cases, including, lender liability/consumer financial litigation, contract dispute, bad faith/fraud and creditors rights. In addition to his business litigation practice, Mr. Cole has extensive experience in safety and health, products liability, and personal injury/wrongful death. To complement his practice, Mr. Cole is committed to the legal profession and his community. Among his current activities, Mr. Cole founded and currently serves as the Chair of Baker Donelson’s award winning Pro Bono program, was recently elected President of the Nashville Bar Association, serves as a director of both the American Bar Foundation and the American Bar Endowment, was recently awarded the Young Leader of the Year Award by the Young Leaders Council, 2008 NELA (Nashville Emerging Leader Award), serves on the board of the Young Leaders Council and was selected to Leadership Nashville's Class of 2010.